The Iverson Tyres site is the next bit of Iverson Road set for redevelopment. 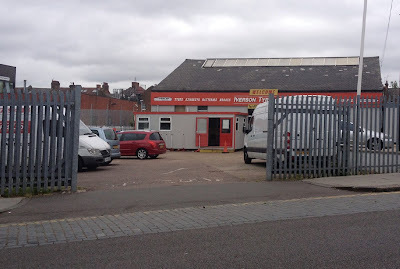 Iverson Tyres is headquartered on the premises, but is actually a chain of tyre fitters now and the Iverson site isn’t very cost efficient as a fitting centre. Enter the property developer. McGregor Homes was originally the developer involved with the site next door – the former garden centre. 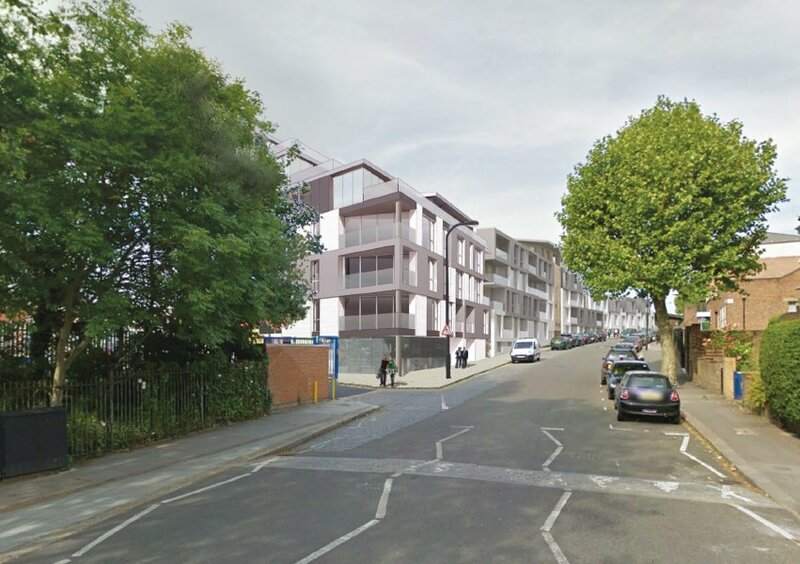 However it has sold its interest in that site and a new developer, funded by former Tory PPC Chris Philp’s Pluto Finance, is about to start construction there – you may have seen small demolition crews starting to clear the site over the past few days. Instead, McGregor is now the developer for the Iverson Tyres site, 159-161 Iverson Road. 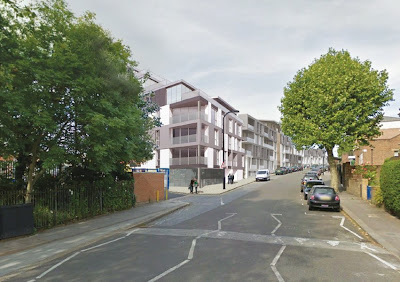 The plan is to build 29 flats, of which nine would qualify as affordable housing. This is, very unusually, above the affordable housing quota. Very rarely do developers meet the affordable housing quota, using “viability studies” that Camden has to have independently verified to prove that more affordable housing would make the development financially unviable. It’s a contentious area to put it mildly. Has Stephen McGregor been overcome with altruism? It’s more to do with his financing, he says. For this development to work, he needs to get it completed quickly and therefore it’s worth it for him to be generous with the affordable housing in order to speed the plan’s progress through the council. For a similar reason, he has hired the same architects that designed the garden centre redevelopment as Camden said it would prefer a continuous look and feel down the street. The result is indeed the same look, so whether you like it will depend on whether you like the first plan – though this new proposal has no aeroplane wing roof! It’s hard to appreciate from the street level, but the 159-161 site really does encroach into the odd y-shape of 163. 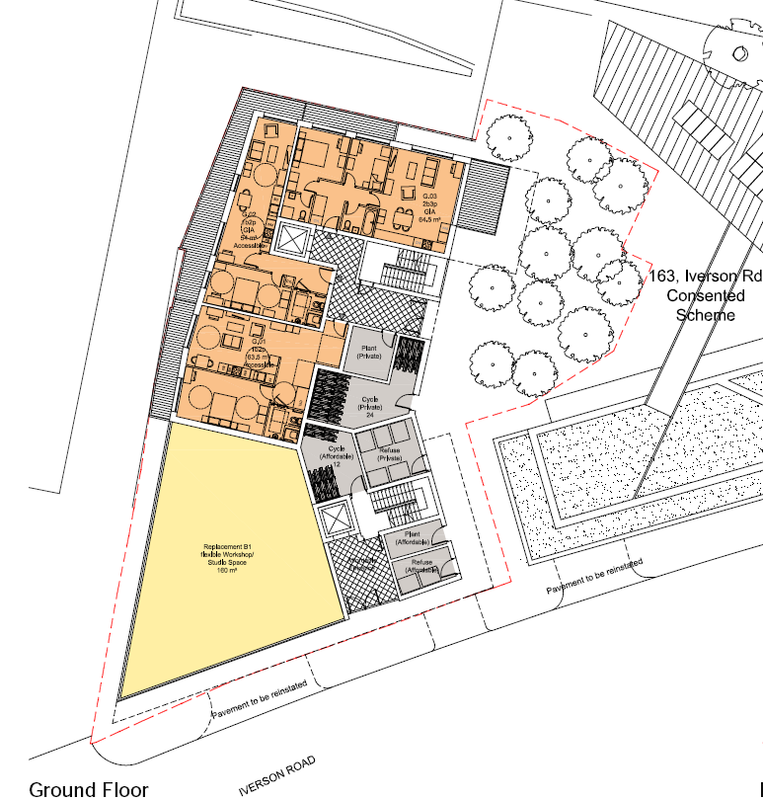 McGregor argues that the redevelopment of the tyre site is therefore going to benefit the new 163 flats as their view will be now of a courtyard and other flats rather than tyres and portacabins. It will, however, reduce the amount of light they’ll receive. The affordable housing will be on the street-side of the development, with the fourth floor flats with balconies highly desirable were they ever to come on the open market. As is common practice, the affordable units will be clumped together rather than spread throughout the development. Socially and culturally this is far from desirable (it’s seen at its worst in the Ballymore West Hampstead Square scheme, where the affordable housing is tucked away right at the very back of the site), but it tends to be housing assocations’ preference purely because it makes servcing easier, and therefore cheaper. 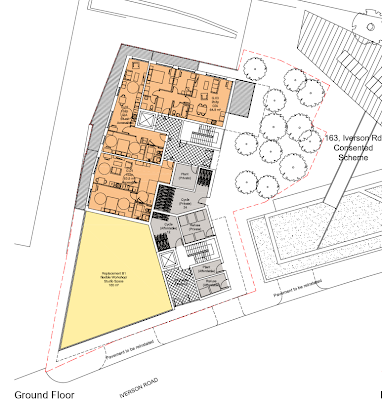 The end result in this case is that the entrance to the affordable housing units is on Iverson Road, while the other flats will be accessed via a passageway leading into the courtyard. The final component of the scheme is employment space, which throws up some interesting questions. Iverson Tyres wanted to take the space so the company’s office could still be based on Iverson Road. This however, would mean a change in the class of employment use. You’d think that given that the actual employment would barely be changing – same people doing the same job, only without the tyre fitters – that this would all be straightforward. The local place shaping document, which Camden published, talks about supporting office employment too. However, the borough-wide policy is to support “light industrial”, which is what the site is classified as now. Rather than engage some common sense, Camden is insisting that the employment space in the new development is also light industrial and only if it cannot be let as such for two years will they allow it to revert to office space. The particular brand of light industrial includes some perfectly viable businesses – jewellery design, commercial photography, that sort of thing. Not sure that anyone would object to that per se, but it does seem ridiculous that Iverson Tyres can’t keep its office space. End of rant. The new development goes up to six storeys at the railway side, though the profile from the street side will be much lower. The flats at the back don’t sit flush against the railway lines as there’s an emergency vehicle area should Network Rail or the emergency services need to get onto the railway lines in case of a serious incident. 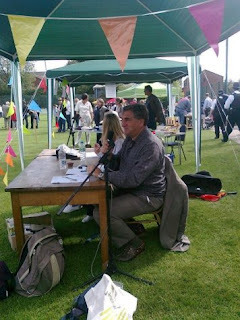 Tulip and Maajid to stand for Hampstead & Kilburn What have I missed since July 15th?